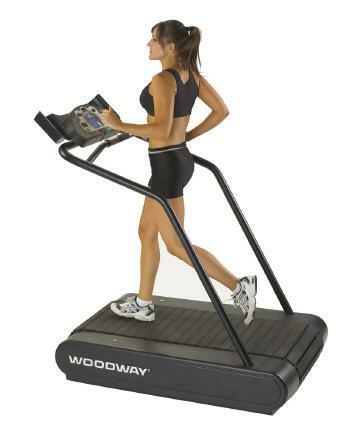 The Woodway Wide Path treadmill is the company’s most basic home treadmill. However, although it may be the cheapest machine from Woodway, it is still way more expensive than your usual premium priced treadmill. As mentioned above, this treadmill comes with a very heavy price tag. It is currently being sold for nearly $7,000. If you can afford it, then this may very well be the last treadmill you’ll ever need to buy. However, if this machine doesn’t fit your budget but you’d still like to buy a high end treadmill, I recommend the more affordable Landice L8 LTD Executive. You’ll get the world famous patented slat belt transportation system. This unique belt combined the conventional conveyor belt and deck into one to produce a tank track-like running surface. With it, you’ll get less friction which means less wear and tear for you machine. The 2.0 HP continuous duty servo drive motor provides excellent power. It has a speed range of 0-11mph and an incline range of 0-15%. Also, with the 400lbs weight capacity, this model can provide you with the intense workout you need no matter how heavy you are. The running area, which has a 22” x 52” dimension, is great for walking or running. However, due to its lack of length, tall people might not feel comfortable using on it. So be sure you test it out first before deciding to buy. This machine, just like other Woodway treadmills, needs improvement with its fit and finish quality. Also, the running surface could use more length to accommodate taller people. If you have the money, I would recommend the Woodway Wide Path treadmill. I believe your investment on it will be worth it especially after several years. However, if you’re going to spend this much on a treadmill, then why not buy the best? Why not buy a Woodway Desmo S? It is currently Woodway’s most impressive (and expensive) home fitness unit. I’m currently having a hard time locating an internet retailer carrying the Woodway Wide Path treadmill, so for now, I suggest you locate a dealer near you through Woodway.com. It is normally sold for $6,950.